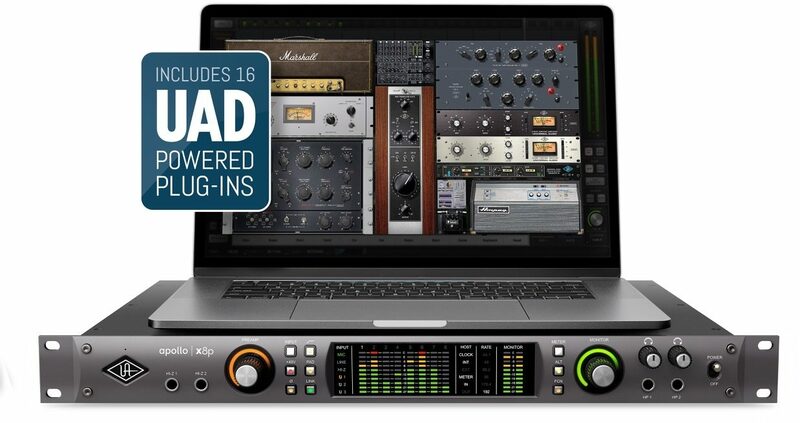 Double Down on Apollo X -- Get up to 10 FREE Plug-ins from Universal Audio! The Universal Audio Apollo x8p allows music engineers, producers, and project studios to track, overdub, and mix with new world-beating A/D and D/A conversion, HEXA Core UAD plug-in processing, and 7.1 surround sound monitoring -- all in a sleek rackmount Thunderbolt 3 audio interface for Mac or PC. Built upon UA's 60-year heritage of audio craftsmanship, this 16 x 22 interface distinguishes itself with eight Unison-enabled mic preamps, providing authentic emulations of preamps from Neve, API, Manley, Helios, SSL and more, plus all-new HEXA Core processing -- yielding 50% more DSP for running UAD Powered Plug-Ins in real time. With thousands of chart-topping songs and hundreds of Grammy-winning albums under their belt, Apollo interfaces are no strangers to tracking stellar-sounding records. To improve on the previous generation Apollo interfaces' class-leading audio conversion, UA engineers obsessively auditioned the latest A/D and D/A converters -- ultimately pairing elite-class 24-bit/192 kHz converters with all-new analog circuitry for an ultra-pristine signal path. With 129 dB dynamic range and -118 THD+N, the Apollo x8p's open, natural sound quality rivals any dedicated high-end converter on the market -- regardless of price -- and is the perfect starting point for applying UAD processing. Apollo x8p features new HEXA Core processing, with six DSP chips and 50% more UAD plug-in processing power than previous Apollos. 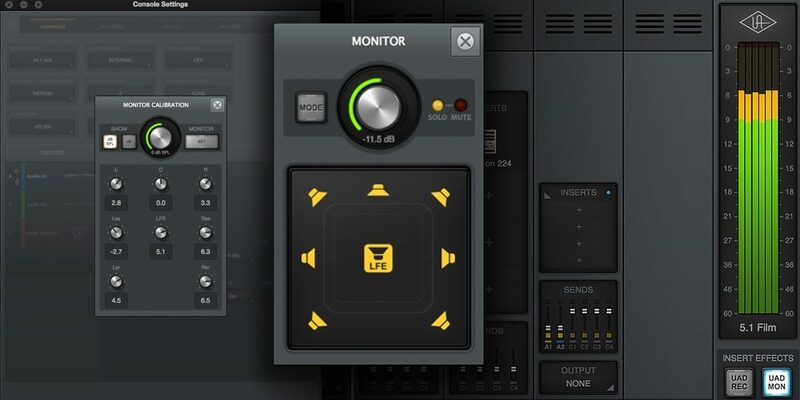 This lets you run more UAD plug-ins, whether you're tracking in real time with channel strips from Neve, Manley, or API, or running high UAD plug-in counts when mixing in your DAW. Perfect for engineers, producers, and project studio owners, Apollo x8p features eight Unison-enabled mic preamps, letting you track large projects through exacting mic preamp emulations from Neve, API, Manley, SSL, and Universal Audio. A Universal Audio exclusive, Unison technology nails the tone of these sought-after tube and solid state mic pres -- including their input impedance, gain stage "sweet spots," and the component-level circuit behaviors of the original hardware. The secret to Unison is its hardware-software integration between Apollo's mic preamps and its onboard Realtime UAD Processing. Of course, a hallmark feature of Apollo is its Realtime UAD Processing, letting you run the full library of UAD plug-ins with near-zero latency. Apollo x8p includes the Realtime Analog Classics Plus plug-in bundle, so you can record and mix with the world's only authentic Teletronix LA-2A, 1176LN, and Fairchild compressors, the Unison-enabled UA 610-B Tube Preamp & EQ, and guitar and bass amps from Marshall and Ampeg. Going beyond the included Realtime Analog Classics Plus plug-ins, Apollo x8p lets you tap into the full UAD Powered Plug-In library of name-brand vintage EQs, compressors, reverbs, tape machines, channel strips, and more -- at near-zero latency, regardless of your audio software's buffer size and without taxing your computer's CPU. 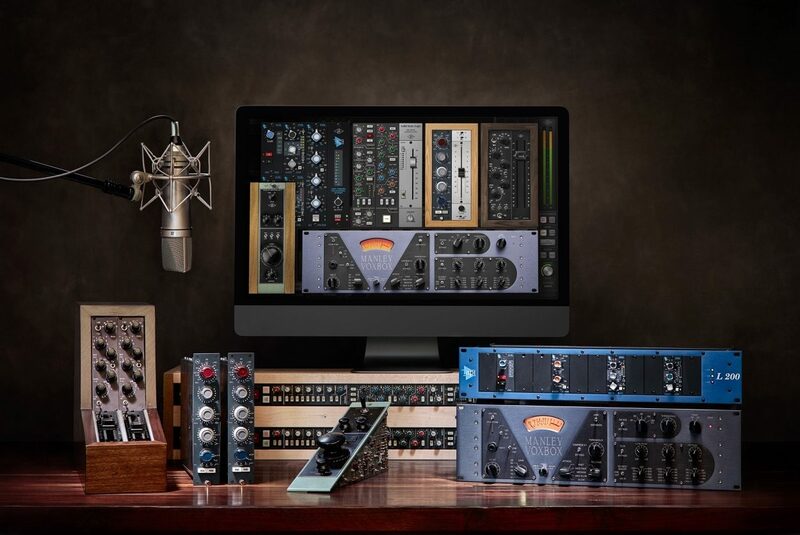 With exclusive emulations from SSL, Neve, Studer, Manley, API, Ampex, Lexicon, Fender, and more, it's like having a studio full of iconic analog gear, in a single rack space. And unlike competing interfaces, these award-winning DSP-powered plug-ins are also available in your DAW for mixing. Apollo x8p includes the "Realtime Analog Classics Plus" UAD plug-in bundle. 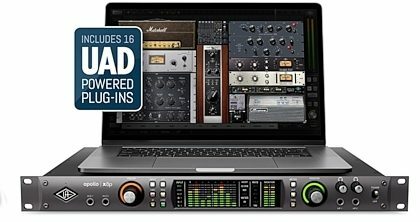 Other UAD plug-ins sold separately at www.uaudio.com. All trademarks are property of their respective owners. Apollo x8p offers 16 x 22 simultaneous inputs/outputs (8 x 8 analog I/O) and two built-in Thunderbolt 3 ports, which are backwards-compatible with Thunderbolt 1 and 2 Macs** via adapter (sold separately). 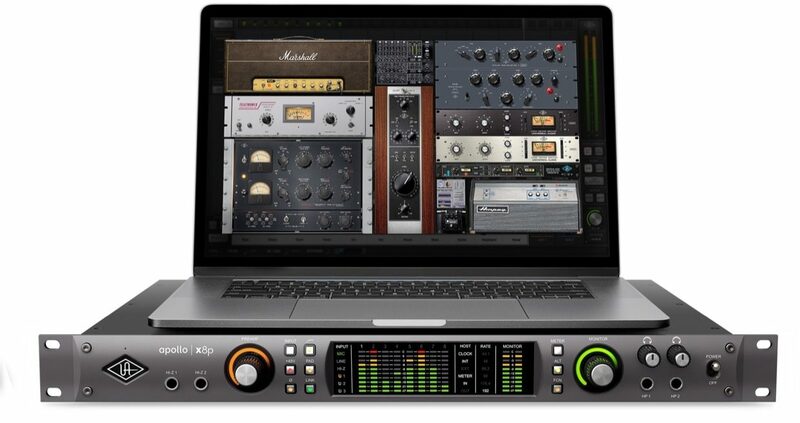 This allows users of any Thunderbolt-equipped Apollo Twin or Apollo rackmount audio interfaces to easily combine up to four Apollos and six total UAD-2 devices -- adding fast, high-bandwidth I/O and DSP as your studio grows.